Handbags are one of your most used accessories. You many not wear jewelry every day, but most women are rarely without their handbag, even if they are just going to the gym. Accessorize your outfits with new purses from JCPenney. From the everyday bag to you take to work to the formal clutch. 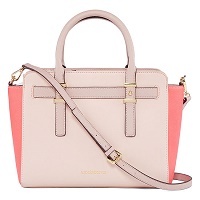 Find a handbag that combines function and style into one beautiful design. Drape yourself in one of our stylish crossbody bags. They are awesome bags to use when you’re in a crowded place. Its design allows you to keep your valuable close to your body and directly and front of you. This this is the best protection when you’re at an amusement park, festival, or a fair. Crossbody bags are great for moms too. This allows you to keep your hands and arms free to wrangle your little ones while out in public. 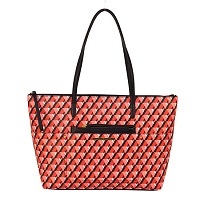 Add one of our amazingly stylish totes to your handbag collection. From cool and casual totes that you can take to the beach to work ready bags that will excellently compliment your work clothes, we have a huge selection on hand just for you. You’ll fall in love with all of the vibrant summer colors available. Perfect your bohemian summer style with a slouchy hobo bag. Discover all the glamour and glitter our evening bags and clutches offer. Make sure you get a few wallets while you are at it too. Shop traditional wallets or super convenient wristlets to keep your new purse organized. With our wealth of colors you can even color coordinate your wallet to your handbag. Buy new handbags, wallets, and wristlets in our handbags and accessories department.